Tai Chiem created this concept design for the Sony Playstation 4. The controller is mostly clear, and images of available games appear on the see through console. This design would make any gamer hide their 360 and throw their PS3 out the nearest window. In the last pic, that spaceship on the right is the Xbox 720. 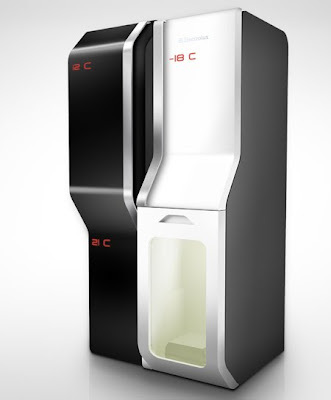 Dulyawat Wongnawa submitted the Teleport Fridge design to the Electrolux Design Lab competition. 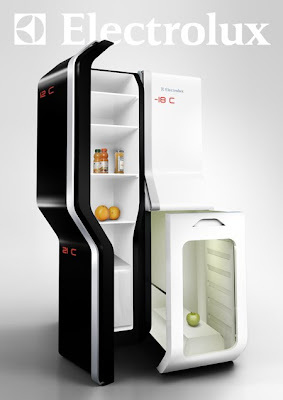 The futuristic fridge uses touch screen technology for the teleportation process, and it teleports food to the compartments in the refrigirator. Dulyawat envisions a time when the technologies found in science fiction become reality, specifically teleportation.This concept is for eliminating the time and distance a person has to travel to buy fresh groceries. Fast food gets faster in the future.